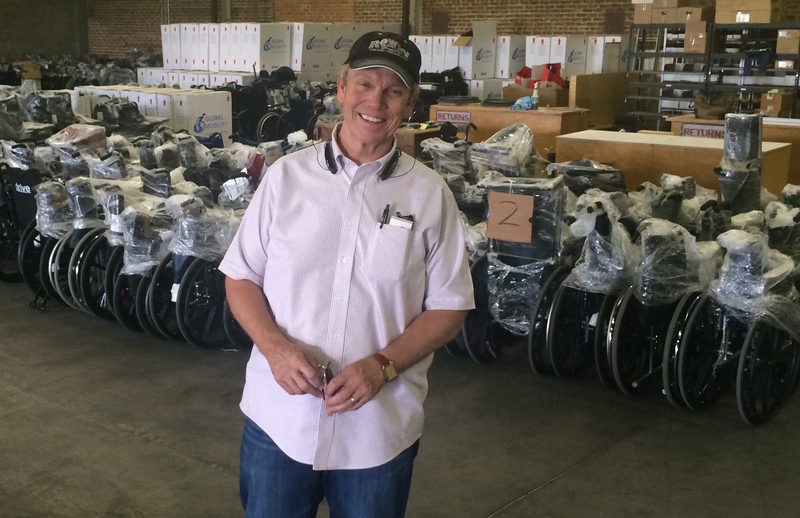 Lonny Davis is a man on a mission, a smile on his face and a vision on how to make mobility available to so many that need it all over the far reaches of the globe. 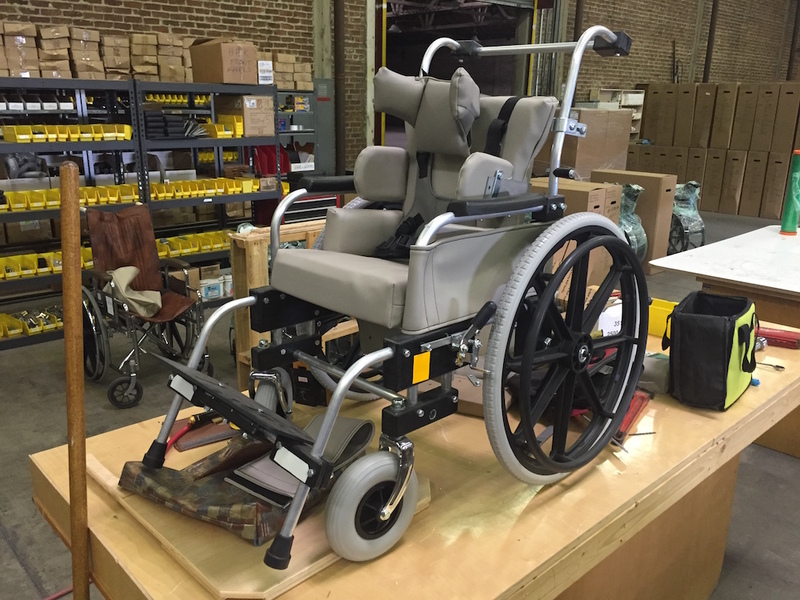 Hope Haven West is a fantastic local organization that delivers wheelchairs of all kinds, specifically made for people in developing countries. From Honduras, Ecuador to Guatemala and this year even Vietnam, 100% of funds contributed to Hope Haven go directly to placing people in much needed wheelchairs. 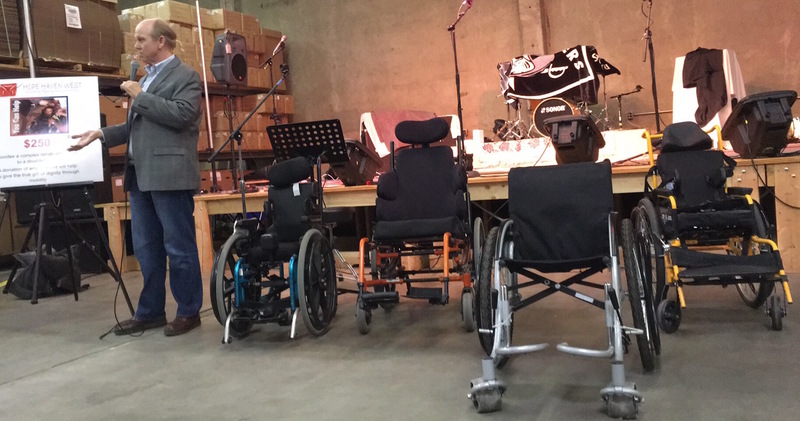 These chairs change lives, and offer mobility to many that have never had it before. These chairs can make the difference between a life of poverty and early death and a successful life. Lonny is the owner of the Davis Guest Home on Hatch Rd. He has vast experience with the needs and situations of the mentally ill, and the old and failing. He is lending his experience to the Focus on Prevention programs and is an avid and dedicated Rotarian, a member of the Ceres Rotary. Lonny also believes in fun. Fun, in the way to raise money for Hope Haven and many other local organizations. As a former wild child in the summer of love, he followed in his family footsteps operating the guest home. He made connections in the 60’s and 70’s with famous musicians in recovery like Barry McGuire, (The Eve of Destruction) and others. His organization Uncle Lonny presents has produced shows by Marty Stuart, Roger McGuinn, Lawrence Taylor, It’s a Beautiful Day and even a “Day on The Green”. 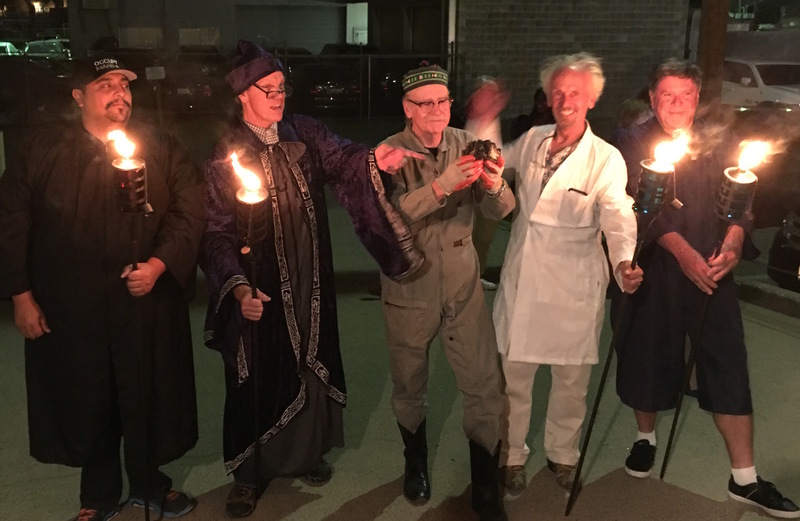 Now, he has created “The Portal” at the home of Hope Haven West, hosting music events that are closely guarded by the elder group of Portalarians, an X Wing Fighter and Marvin the Martian. Just who is this Lonny Davis? ModestoView: You had a very interesting past. How did you get from the Summer of Love to taking over the family business of Davis Guest Home? Lonny Davis: No one truly escaped the Summer of Love, we remain, “Waging Heavy Peace”. That said, at age 19 I experienced a spiritual collision, stimulating a character transformation and recalibration of my worldview. My friends were convinced that I had gotten hold of some bad acid. A stint in the army, ten years on the road with McGuire (Barry) and a bunch of spiritual renegades called the Agape Force, before my path led back to Modesto and the family business (Davis Guest Homes). MV: How did you become connected with Hope Haven? LD: Sixteen years ago, a friend invited me to a sleepy little village in Mexico where he and a team were assisting the disabled poor. I witnessed the impact that mobility brought to individuals who had been abandoned to back rooms, or spent their days dragging themselves through the unpaved roads of their village. I knew I had to help. MV: Why did you decide to combine your love of music with creative fundraising? LD: Did I mention that you never truly escape? Everybody loves a party, what better way to celebrate life than getting together with friends, breaking bread, enjoying an adult beverage and listening to some great guitar licks? Those who have sponsored our “Uncle Lonny Presents” productions have become the financial life-blood for Hope Haven West and our work with the disabled poor. Shows like “Livingston Taylor” at the State Theater were an example of the quality of music experience we are committed to provide our supporters. 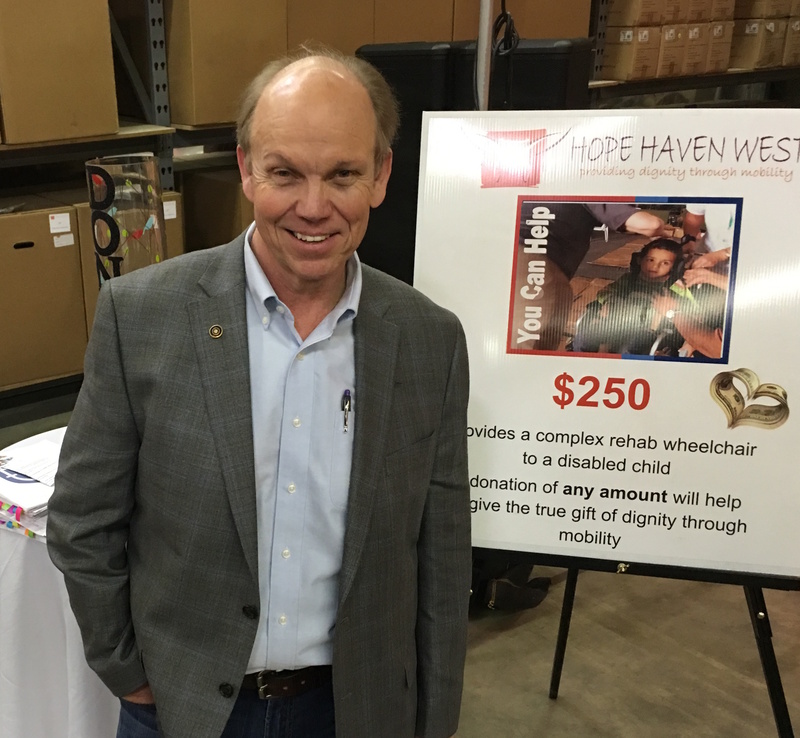 MV: How many people have been fitted with a Hope Haven chair? LD: Based upon the number of distributions we have completed, we calculate that we will distribute chair number 10,000 early this year. Hope Haven West remains “on track” to provide around 1000 chairs annually to the disabled poor with the assistance of our partners in the developing world. MV: You are an amazing volunteer, what is it that makes you want to serve others in the way? LD: I am not sure there is any virtue in what I am doing, honestly I have never been more fulfilled or energized in my entire life. I am writing this interview response at 4am, preparing to jockey a 26-foot Penske rental truck to the North Bay where we are scheduled to pick up dozens of discarded wheelchairs to be refurbished by prisoners in vocational rehab programs. The old adage that it is “more blessed to give than receive” resonates in my soul. MV: Tell me about your most amazing chair delivery moment? LD: There are so many. Each day of each distribution is filled with nonstop life-altering moments for both our volunteers and for the disabled poor and their families. One that pops into mind is a little girl from the high Andes in Peru. Brought to our seating clinic from an orphanage operated by “Sister of Mercy” nuns (think Mother Theresa) this five-year-old angel was blind and paralyzed from the waist down (her parents had poisoned and abandoned her at birth in a trash bin). We were privileged to fit this little angel into her first complex rehab wheelchair. One of our group was listening to music on her IPhone and introduced our little survivor to rock and roll (did I mention we never escape)? Mesmerized by rock and roll, energized and enchanted with new-found mobility, we sent our angel back to her home in the Andes filled with hope, promise and the joy of discovery. MV: What is your inspiration for the Portal? LD: Inspiration? If you ask my wife, she would assure you that I truly am irrevocably mad. I am sure that she is tempted to give credence to the “bad acid” theory I mention above. Me, I just invoke the Deity and move on. MV: What role does music play in a vibrant community? LD: I just read an article by James Fallows in Atlantic magazine. Fallows lists eleven signs of “A city that succeeds”, he includes “Craft Beer” (I’m not making this stuff up) and a “Vibrant Downtown” – that formula includes live music. Modesto has a great tradition of contributing to the national music scene (arguably the home of rock-a-billy). We can build on this… Just sayin’. MV: What is one of your service goals you hope to achieve? LD: I would hope that one day before I pass through the “Great Portal” I might contribute to the reduction of homeless mentally ill on the streets of our city. I envision a community enabled, and empowered, to provide compassionate custodial care to those suffering from mental illness. I am convinced, we can do better. MV: How does your wife keep up with all that you are doing? LD: Really good drugs – no, just kidding. My wife (Lisa) is very long-suffering, patient, and persistent in insisting that I take care of myself. She also is a fitness freak, in excellent condition, able to run circles around me, and one of the most disciplined people I know. Lisa has been with me on everyone of the wheelchair distributions Hope Haven West has completed. Amazing woman. MV: Who would you most like to play at the Portal? 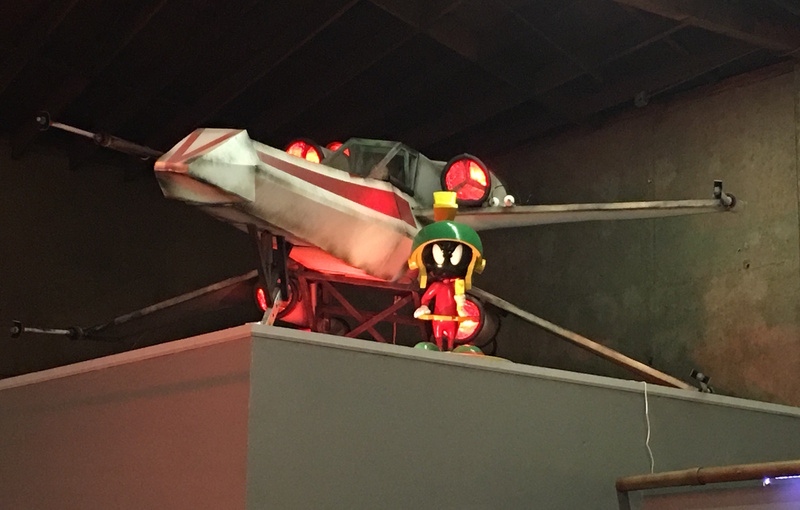 MV: Do you think Marvin the Martian is adequate security? LD: Nobody in their right mind is gonna screw with this manic Martian. Sucker will vaporize any fool that jumps bad or gets out of control at The Portal. 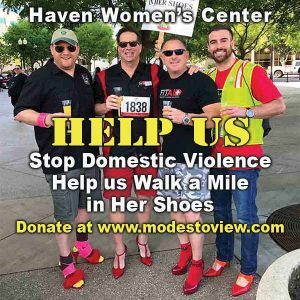 MV: How can people get involved and support Hope Haven West? LD: Many paths to enlightenment (or in this case “service”) grasshopper. 1. Show up at the warehouse, 1324 Coldwell Ave, Tuesday through Saturday 8am – 4pm. MV: Describe your ideal Modesto day? MV: Our signature question, Beatles or Stones?